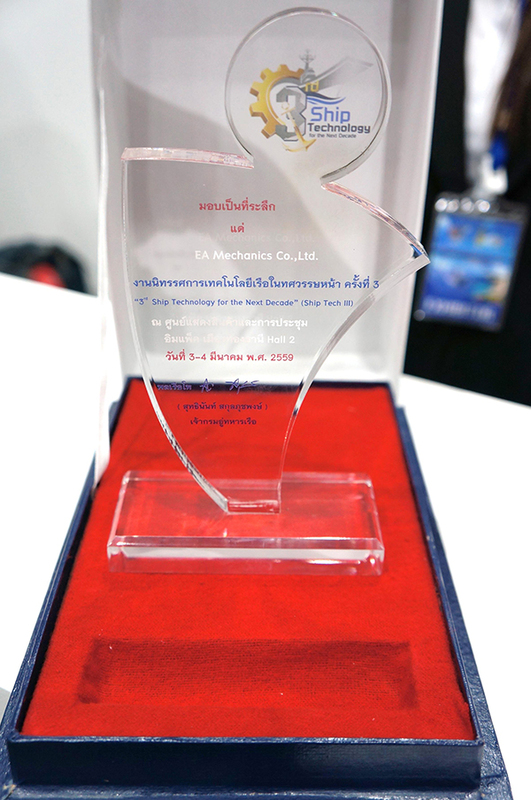 EA Mechanics was accepted the honors prize from Royal Thai Navy. 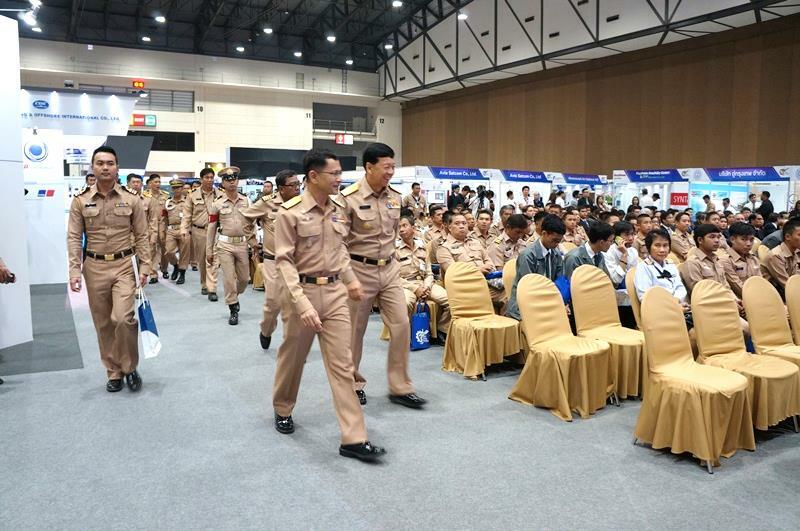 EA Mechanics Company Limited participated in one of the largest technology exhibition in Thailand, Ship Technology for The Next Decade III or “Ship Tech III.” It is the 3rd ship technology arranged by Navy Dockyard Department, which took place on 3rd – 4th March 2016 at Hall 2, Muang-Tong Thani, Nonthaburi, Thailand. The exhibition was created to expand the knowledge of the modernized ship technology demonstrate of the product, equipment from many companies. 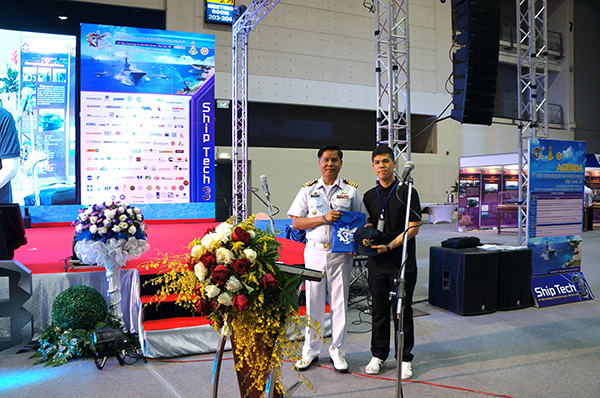 It was honored by Admiral Kraiwut Wattanathama, Assistant Commander-in-Chief, Royal Thai Navy, as the chairman of the first day. After the opening ceremony, the chairman has also paid the visit to EA Mechanics. 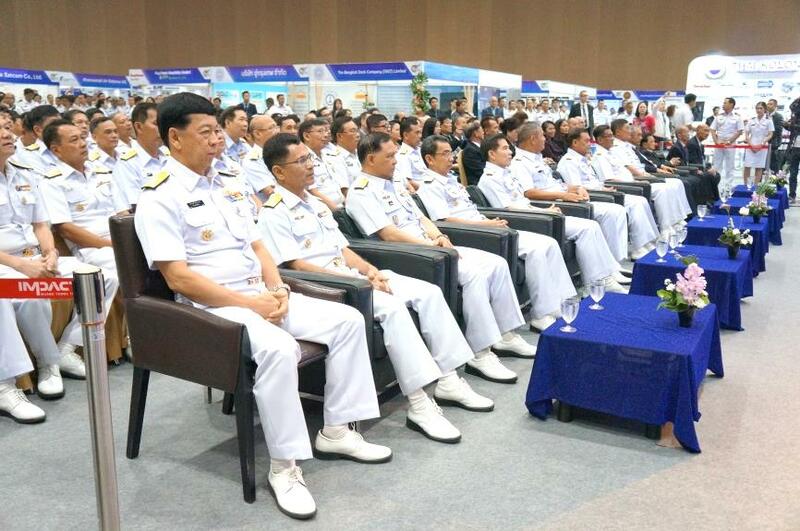 Ship Tech III has many government organizations and private companies from Thailand and overseas. EA Mechanics Company Limited has been participating this exhibition annually. This year we presented marine engine, combine industry naval capabilities with the durability and reliability of one the most successful heavy-duty industrial engines. The opening of Ship Tech III ceremony. Admiral Kraiwut Wattanathama, Assistant Commander-in-Chief,Royal Thai Navy, as the chairman of the first day. EA Mechanics representative had been handling the souvenirs from Navy.